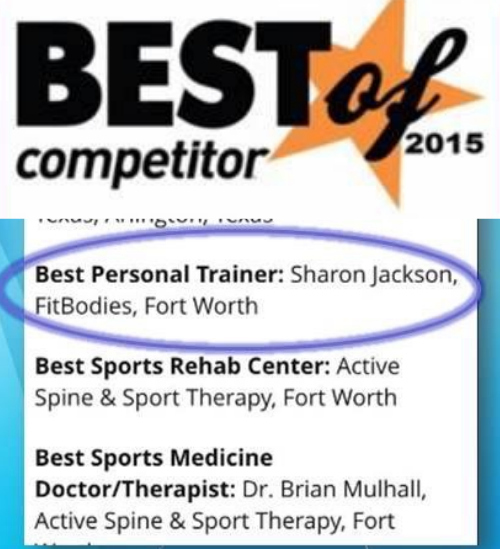 FitBodies by Sharon prides itself on having an Online Personal Training Program that delivers in-person results. Whether you travel a lot, have relocated out of the area, or are medically unable to attend classes, Coach Sharon will develop a customized program that delivers a personal touch and ensure that you reach your health and fitness goals. Coach Sharon uses her expertise as a certified and degreed fitness professional to design an online training program specifically for you based on your individual needs. Many online training programs will offer a one-size-fits-all approach to online training. Coach Sharon understands that most clients are only successful reaching their goals when following a program that caters to their personal profile and goals. Our programs are designed for all fitness levels and can be done anywhere (home, gym, or on the road). One of the greatest challenges we’ve heard about online personal training programs is that too often the client feels forgotten about or as an after thought once they’ve joined. FitBodies by Sharon is different. Personal attention, encouragement, and support are top priorities in all our programs, but especially in an online program. We understand that it takes a little more dedication and effort to stay the course when you’re not training with a group of your peers. Coach Sharon has you covered with 1-on-1 coaching calls, email support, and more! Proper form and technique are key to not only developing muscle and toning up, but also to avoid injury. This is extremely important during an online training program which is why Coach Sharon makes exercise demonstration and instruction available with every workout plan. Videos and exercise illustrations make it easy for you to review exactly how reach move should be done. So, you never have to worry if you’re doing it correctly. Evidence has shown that clients are most successful when they participate in an exercise program that includes variety and continually challenges the body to work hard. Our FitBodies by Sharon online training program incorporates this same philosophy. Switching up the routines and workouts help keep things interesting, fun, and on track to exceed your fitness goals. Do you need a personal training program that is flexible and can fit in with your schedule? No time to attend group fitness class? Live too far away or simply, unable to get here? Then our Online Personal Training Program is just what you need!